Explore UT is the "Biggest Open House in Texas". It is a day-long celebration during which the University of Texas at Austin opens the doors of its campus to the state. On 1 March 2014, Explore UT featured close to 400 events across campus including performances, exhibits, lectures and activities for the entire family. 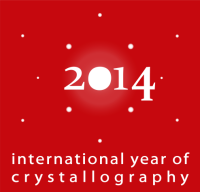 Dr Marvin Hackert, professor of biosciences, presented an exhibit as part of the IYCr 2014 celebrations entitled "Crystals and Crystallography" which included posters, demonstrations and experiments on numerous topics including crystal growth, symmetry, and optical transforms. A variety of models of small and large molecules were on display, including 3D printed models.